NAMBOOLE – URA FC may be without influential captain Shafick Kagimu when they host Express FC in the StarTimes Uganda Premier League on Tuesday afternoon. Kagimu who is the Tax Collectors’ top scorer this season suffered a knock in their last game against Bul FC on Friday and he is yet to recover fully. Defender Patrick Mbowa is suspended due to accumulation of yellow cards and joins the trio of Nyakoojo Benjamin, Nyanzi Abudallah and Allan Mugalu who are all still out injured. Express will still be without Eric Kambale who has had an injury troubled first season with the Red Eagles. Pius Mbidde and Muwanga are also out of Tuesday’s game with injuries. The Good news for Express is that Frank ‘Zaga’ Tumwesigye, Tony Odur and Brian Umony have recovered in time to face URA. “We have prepared very well for the Express game. We played Bul on Friday so we had little time to prepare for this one but the boys are ready to go. “We have respect for Express because they are one of the traditional teams but we don’t fear them. “I expect my team to win and go into third at the end of the day. “We have had enough time to train ahead of the game because we were in the international break. “The boys are in good spirits and some of the injured players are on the road to recovery. “I watched URA and i am sure it is a team that gives u a chances to attack and defend against them due to their system of play. We will go out to attack them. URA missed a chance to go third on Friday when they drew 1-1 at home to Bul despite scoring inside the first minute. On Tuesday, another opportunity presents its self in form of Express that have been struggling all season. A win on Friday will see URA move onto 42 points, one ahead of Onduparaka who take on SC Villa on Wednesday. The Red Eagles find them selves in 11th on the standings with 29 points, 9 ahead of Ndejje University who occupy the last of the three relegation spots. Despite Ssemwogerere claiming that they are not concerned by what is going on below them, a loss against URA coupled by positive results for the teams occupying 12th-14th, may see the Red Eagles dragged into the dog fight for the second season running. This will be the 18th top flight meeting between URA and Express since April 2011. In the other 17 within that period, URA have won six, lost two and drawn 9 against the Red Eagles. However, the Tax Collectors have gone 7 games minus victory against Express with their last triumph coming in the 2-1 win at Wankulukuku back in May 2015. Both sides drew 0-0 at Wankulukuku at the start of the season and also shared spoils (1-1) in the reverse fixture last campaign. 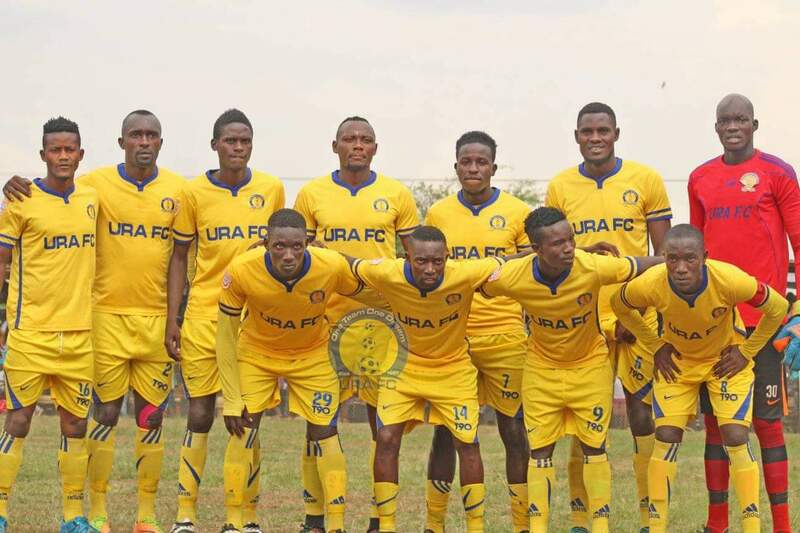 URA head into Friday’s game unbeaten in their last five League games (W3 D2). Their last loss was in the 1-0 defeat at home to Maroons on the 19th of February. However, at home, the Tax Collectors have won only two of their last six games (D2 L2). The two losses that they have suffered in that period are the only ones they have succumbed to all season. For Express, they come into the game having won only two of their last 10 League games (D4 L4). Away from home, the Red Eagles have also won only two of their last 9 (D2 L5). The other game on Tuesday.